Earlier today, I spotted a news article by Newoin, which you can see here, that showed new leaked screenshots of Windows 10 for phones and small tablets. I noticed something very interesting on one of the screenshot. 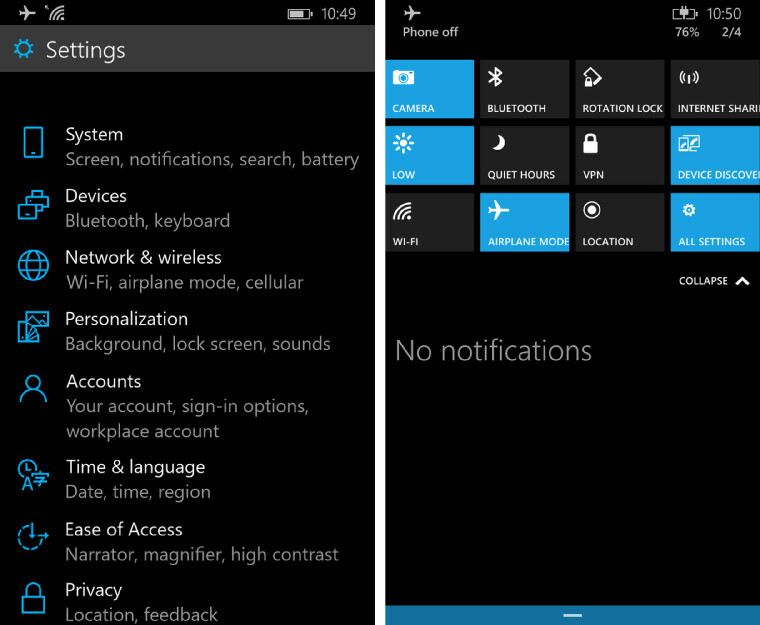 In the picture, which I embedded below, you can see the Universal settings app running on Windows 10 for phones. The settings app shares code with the PC/Tablet Windows counterpart. Notice that under the “devices” category, the description reads “Bluetooth, keyboard”. If my guess is correct, Windows 10 for phones will have external keyboard support! Unlike Android, iOS, and “big” Windows, Windows Phone does not have support for external Bluetooth keyboard. In fact, Microsoft own wireless Bluetooth keyboard works with Android and iOS, but not Windows Phone for this very reason. However, if the screenshot says anything, I would say that all that is about to change.